Kien Giang (VNS/VNA) - The Mekong Delta province of Kien Giang has some 13,000ha of forests facing a major threat of fires in An Minh, Hon Dat, Giang Thanh, and Phu Quoc districts. Nguyen Tan Xong, deputy head of the province’s Forest Protection Sub-department, said forests in Hon Dat, parts of Giang Thanh and forest areas No 32 and 33 in An Minh have fire risk levels of three or four on a scale of five. Cajeput forests in Hon Dat face great risk, he said. There have already been three this year, but they were put out quickly and so the damage was not extensive, he added. The committee has instructed forest managers and rangers to monitor high-risk areas around the clock and coordinate with the police and army when fires break out. Hon Dat’s forest managers such as the Hon Dat-Kien Giang forest management board, the Forest Plantation No. 422 management board and the Kien Giang Agriculture and Forestry Company have each set up two to three monitoring sites with five or six people working around the clock and firefighting facilities standing by. Hon Dat’s forest rangers are focusing on fire prevention since the forecast is for no rain until May and the threat levels are high. At the U Minh Thuong National Park, the risk level is at the lowest. 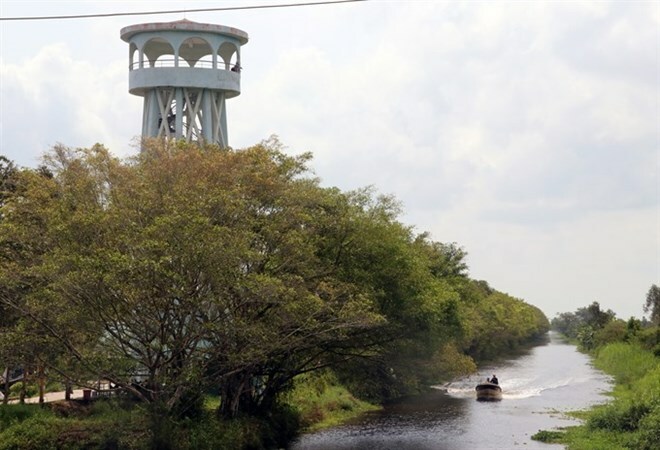 Park authorities have established six fire prevention groups to monitor high-risk areas and regularly inspect sluices and dams to ensure there is sufficient water during the ongoing dry season. Kien Giang has more than 70,500ha of forests, accounting for 10.6 percent of its land area.